Guardian Glass North America introduces Guardian UltraClear glass, a low-iron product that delivers maximum clarity and color neutrality without the green tint of standard glass. 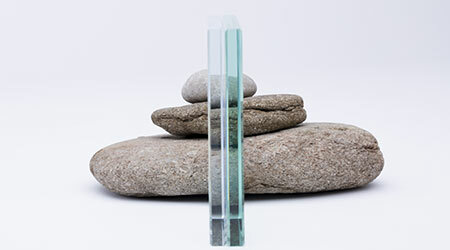 from Guardian InGlass, a complete offering of interior glass solutions. Interior applications include frameless enclosures, walls, partitions, entranceways, display cases, tables, railings and more — all bringing pure, bright and boundless clarity.